Drawing its inspiration from an advert from the 1950s discovered in its archives; Marvin has created its superhero and showcases it in a fun-filled, exuberant fashion by launching an 88-piece limited edition every year. For the very first edition of this incredible adventure, Marvin has partnered with Fratellowatches. 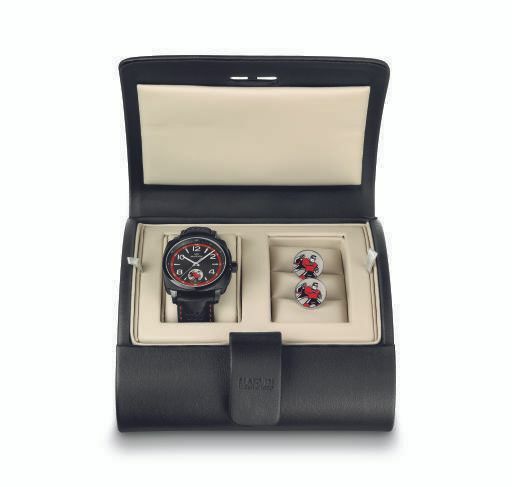 This Malton Cushion Superhero timepiece is combined with matching cufflinks. Marvin and Fratellowatches met each other a few times over the last couple of years during Baselworld trade shows and followed each other with great interest. The combination of an influential blog and the manufacturer of affordable luxury watches led to designing a mechanical watch with an edge, the Superhero. Everyone needs a Superhero in their lives. For some it might be James Bond, for others a comic- strip character and for others still it may be their father or mother who becomes their Superhero. Comics are the perfect way to leave the (harsh) reality of everyday life and dream of better places or surroundings, where crime is successfully fought and where the good guys always win. With this Superhero timepiece, your own Superhero will be by your side every day, and your Superhero will come to life every time you look at your Marvin watch. 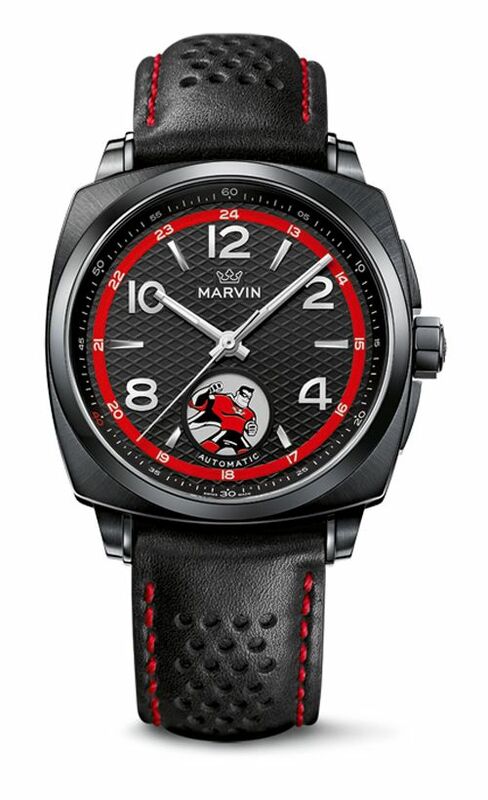 One of the 88 Marvin Fratellowatches will be auctioned for a good cause. The money raised by auctioning this timepiece will be donated to the Dutch KiKa foundation. Kika brings in funding exclusively for childhood cancer research. Research to find a total cure for cancer, pain relief and proper guidance for children (and their parents) who have to live with this terrible disease. More information about the auction of the Superhero timepiece (the where and whens) will be made available soon. Exclusivity will enhance affordable luxury as only 88 pieces of the ‘Superhero’ will be available and they will all feature Fratellowatches’ initials on the caseback. The stainless steel case with PVD finish measures 42x42mm (cushion-shaped) and has a black guilloché dial with the superhero at 6 o’clock. The automatic winding movement is a Sellita SW200 and has a 38 hour power reserve. The Superhero comes on a black ‘Jack’ leather strap with red stitches and a black PVD buckle. The watch is water resistant to 50 meters (5 bar) and comes with a 2 year warranty. More information and live pictures soon! Price is set at 990 Euro (1285 USD at today’s currency rate).